The Virtual Reality Los Angeles Expo (2016) aka VRLA, happened over the weekend and Nvidia was one of the companies that demoed its technology. Specifically, the NE LFD (Near Eye Light Field) HMD (Head Mounted Display) headset. 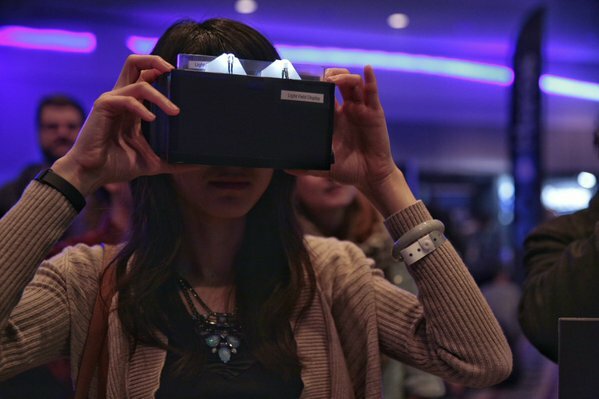 The technology that was developed in collaboration with Stanford University aims to offer a much more natural VR experience and completely eliminate the “motion-sickness” elements associated with conventional VR HMD designs. This was one of those rare demos where Nvidia has offered an insight into the technology. The NE-LFD headset was connected to a Maxwell powered PC and the algorithm controlling the headset was running on CUDA (no surprises there). Currently, all VR solutions on the market have some form of motion sickness when viewing objects that are close to the virtual camera. 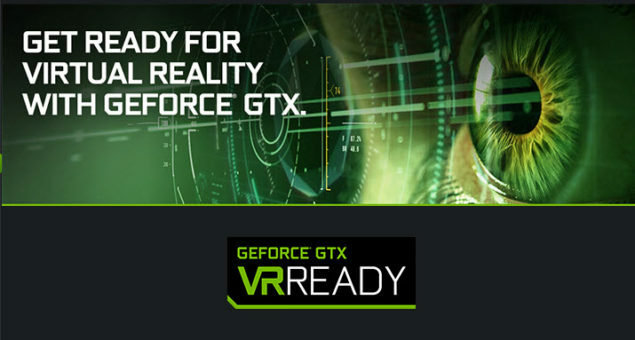 According to David Luebke senior director of research at Nvidia: “This is because of the vergence-accommodation conflict, which is how much the lens of your eye has to change to bring sharp focus to your retina.” This means that if for eg, you are viewing something as close as your hands – it will inevitably lead to motion sickness. 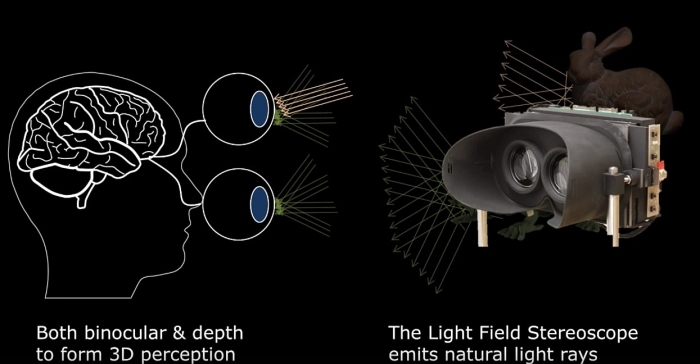 The new technology, called the near eye light field stereoscope, will address the vergence-accommodation conflict and result in a completely natural and more flexible experience. The tech uses two layers of LCD separated by around 5 millimeters and sends each eye an entire “4D” light field of images so the eye can naturally set focus between objects. This will eliminate the forced focus effect and the nausea that comes with it – making everything more natural. You can look even closer than your hands without experiencing any adverse effects. The resolution of the screen is 1280×800 currently, and since we are stacking screens the resolution for both combined LCD panels remains the same. Unfortunately however, the HMD will work by splitting the screen into two halves, making the effective resolution fall down to 640X800 per eye – which is way too low for any modern setting. The good news is, that this is just a prototype and the resolution of the LCD panel depends entirely on the manufacturer and has absolutely nothing to do with the technology (you want higher resolution, simply use a high res panel). This is quite obviously, promising tech – but whether it will actually end up in the mainstream market remains to be seen.